Flower Power Media is part of the Vale Group. 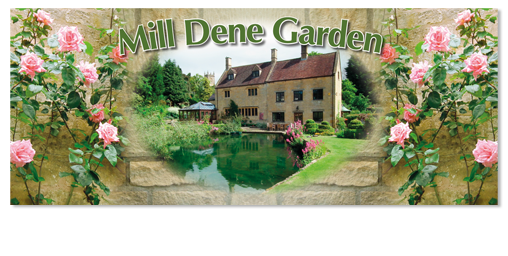 We are based on the border of the Cotswolds and the Vale of Evesham, and have been manufacturing the finest quality printed products since 1984. Often we work 24 hours a day to ensure fast delivery of orders. Our aim is to provide cost effective promotional and marketing material - to help you sell more. 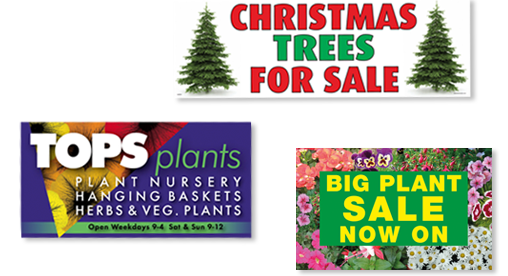 We specialise in the horticultural market-place and offer stock and bespoke solutions for printed marketing material, correx and display boards, banners and printed packaging. From business cards to leaflets, catalogues to books. We can help. Top quality, in-house litho printing on five and four colour Heidelberg printing presses with digital machines for shorter runs. Our innovative design studio and in-house marketing consultants understand the need for original and practical branding. We have a “state-of-the-art” dedicated Direct UV Flatbed Digital Printer which prints - up to size 2400mm x 1200mm - in dense four colours process plus a white when needed. With minimal set up it is ideal for one-offs, short & long run lengths. Ideal to stimulate customers in to impulse buying. Print in dense full colour on various substrates – papers and vinyls. Maximum print depth is 2 metres x as long as want it - we can almost wrap a greenhouse! 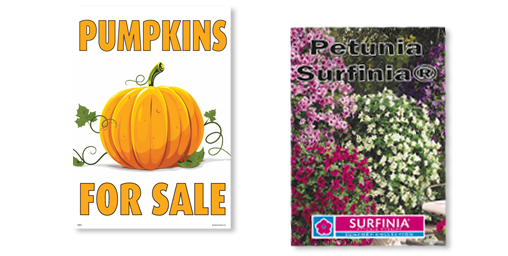 Printed cartons, header cards, tent & show cards and counter displays. If you need to pack it – and get your message across – we’re here to help. We can build, design and host websites for your business or organisation. From simple, single page sites to more complex e-commerce shopping solutions.